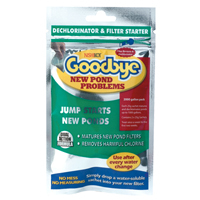 PondXpert EasyPond 4500 Pond Kit with Liner & Underlay: EasyPond Pond Kits: Pond Kits - Buy pond equipment from Pondkeeper: fishing out the best deals on the net. 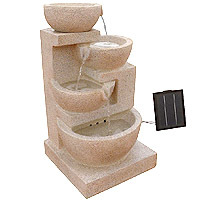 Save £67.76* on this perfect kit for 4500 litres (1,000 gallon) ponds. 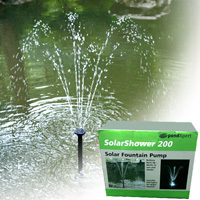 A bestselling pond kit solution. 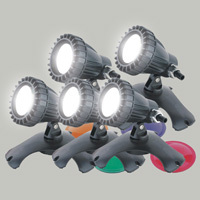 We have successfully put together these kits for many years and have had thousands of satisfied customers. It contains our bestselling pond pump, pressure filter and pond liner and puts them together into one super value 'project kit'. 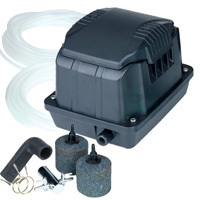 This kit utilises a pressurised filtration system which is the modern approach to pondkeeping as it allows the pond filter to be positioned just about anywhere (out of the water) so your final view is not spoilt by the sight of unnatural looking pond equipment. 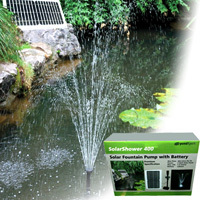 The kit contains pond liner and underlay, the PondXpert EasyFilter 4500 filter and PondXpert MightyMite 3000 pump, plus hose, pond clips, pond pump and UVC filter plus all necessary electric cable. This really is a "pond in a box" solution - perhaps the perfect weekend project! * Saving based on buying pond kit components individually.